Choosing the right clothing is the secret of a good bike ride in autumn. If then you also have quality clothing , it helps and quality does not necessarily mean the thickest clothes. Dress in layers is the smartest option. The more layers you have, the easier it will be for you to adjust to your changing body temperature. So Don’t get caught out by the changing weather this autumn! When your feet are warm, you’re warm all over. So let’s choose the proper socks! In my closet I have two kinds of socks that I use at the beginning of spring and in autumn. 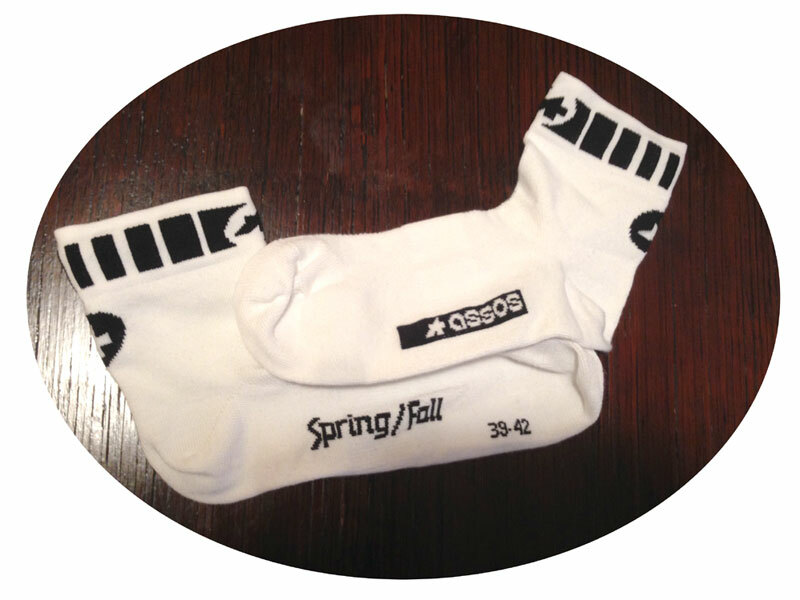 These spring/autumn socks by Assos are very soft thanks to 70% Coolmax , a performance fabric that allows perspiration and evaporation of the sweat of the feet through the fabric , 21% polyamide and 9% elastane. They are very thin and comfortable . But my favourite ones are these: slightly higher than the previous ones, so you’re sure not to have cold ankles , even when you are wearing ¾ shorts . 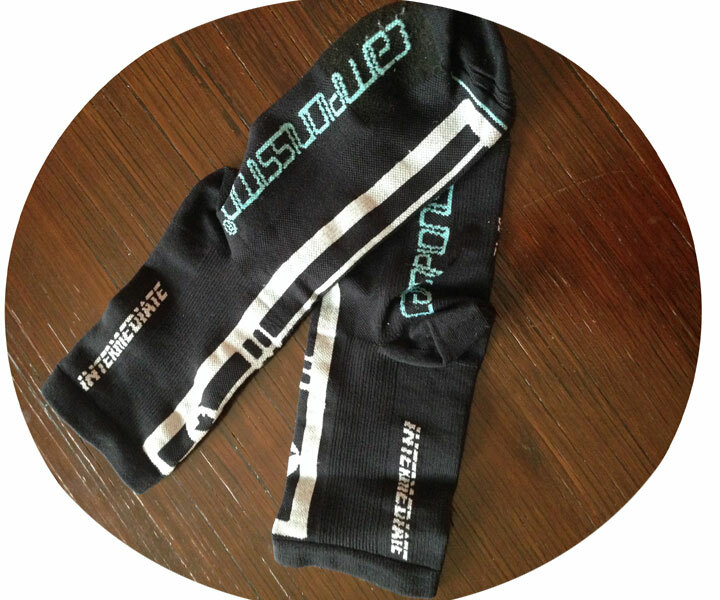 They are the new Assos socks , which are fantastic. They are slightly thicker than those above, but still are very thin and comfortable with no wrinkles inside your shoes. The fibres perform proper moisture management to keep your feet dry. A base layerith with good wicking properties is the best way to keep warm, drawing sweat away from your body. My husband uses a horrible white base layer. The first time I saw it, I couldn’t stop laughing But it seems to work . Personally, I refuse to wear this! I find it too thick , too long and really unwatchable. I use an ODLO short-sleeved t-shirt that I also use for skiing. 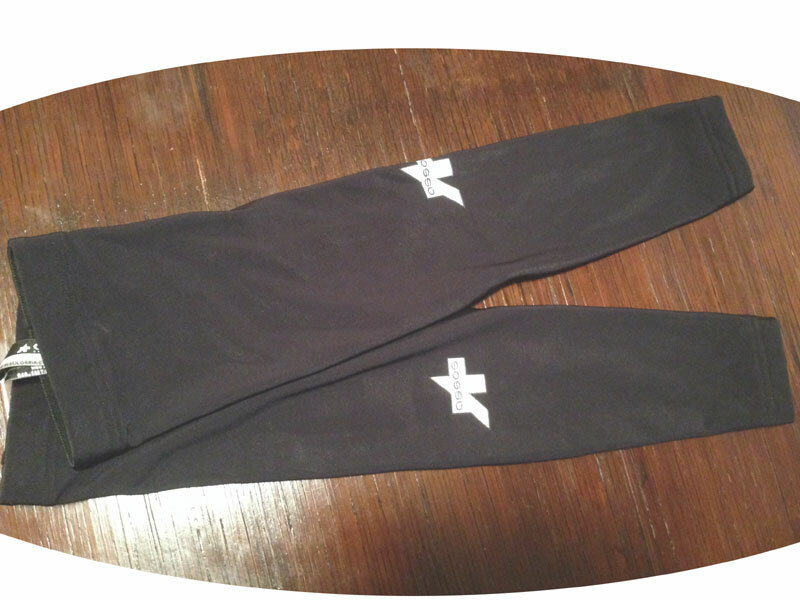 It helps me from getting cold, by wicking moisture away from the body and it is very comfortable. In any case, don’t use a tight fitting cotton t-shirt as a base – it’ll make you damp and cold. You don’t want to be too hot while you are cycling, so, in autumn just wear a long sleeve shirt or a lightweight windproof jersey, with a full-length zip on the front. If you are cold, you could complement with a gilet or a lightweight windbreaker . My husband who is NEVER cold, continues wearing his short sleeved shirts, even in autumn, and when it gets colder, he uses a pair of arm warmers, which he always keeps in his back pocket. In autumn I always use my Zero RH plus three-quarters pants , which I find very comfortable. I’m not a fan of bibknickers, but in autumn I use them as I don’t like the fresh air coming in on the back! My husband, who is never cold, uses short bib knicker bib, and eventually a pair of leg warmers. These warmers are perfect for autumn days. Last week I cycled around Franciacorta, Northen Italy wearing three-quarter pants and a long-sleeved shirt. In the morning it was cold, but then suddenly it was 27 degrees! And this ruined my ride, as I was too hot. 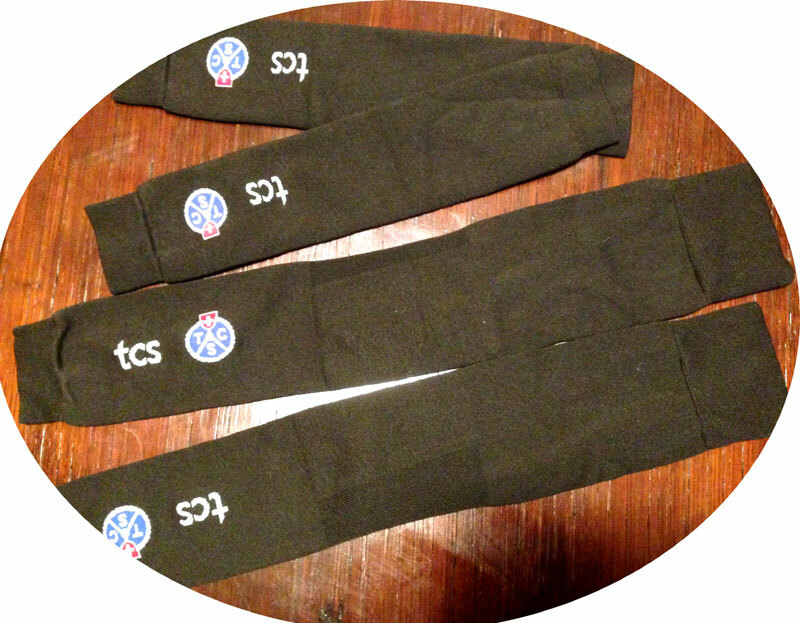 Arm and leg warmers are the best solution. If it suddenly warms up they can be easily folded up and put in the back pocket of your shirt or jacket. 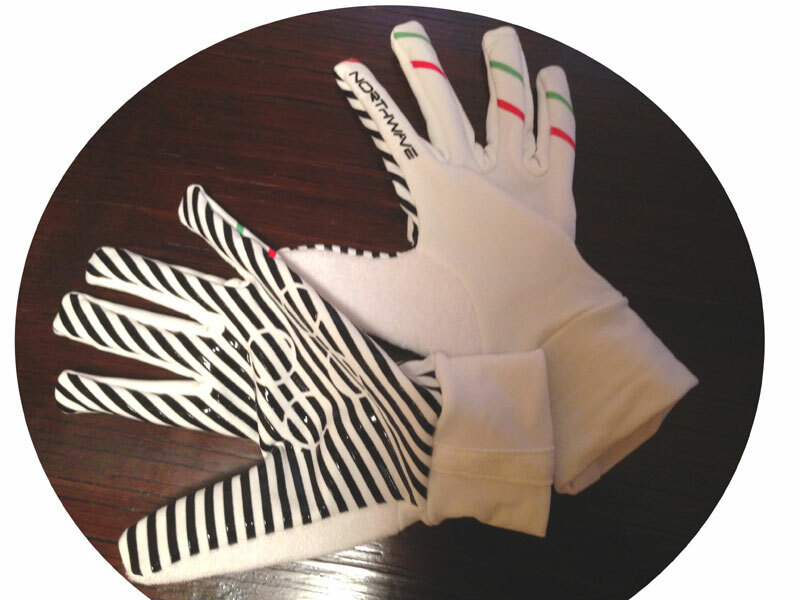 These below are the ones that I use, which are not very professional ( they had been given as gifts to my husband when he joined the Triptych of Ticino race) , but I like them and they are comfortable. First of all, even if you don’t like gloves, as I do, at the end of autumn (if temperature drops – around 10 degrees) it should be advisable to wear proper gloves to keep my hands protected from the cold and rain. I only have one pair of lightweight gloves, by North Wave. 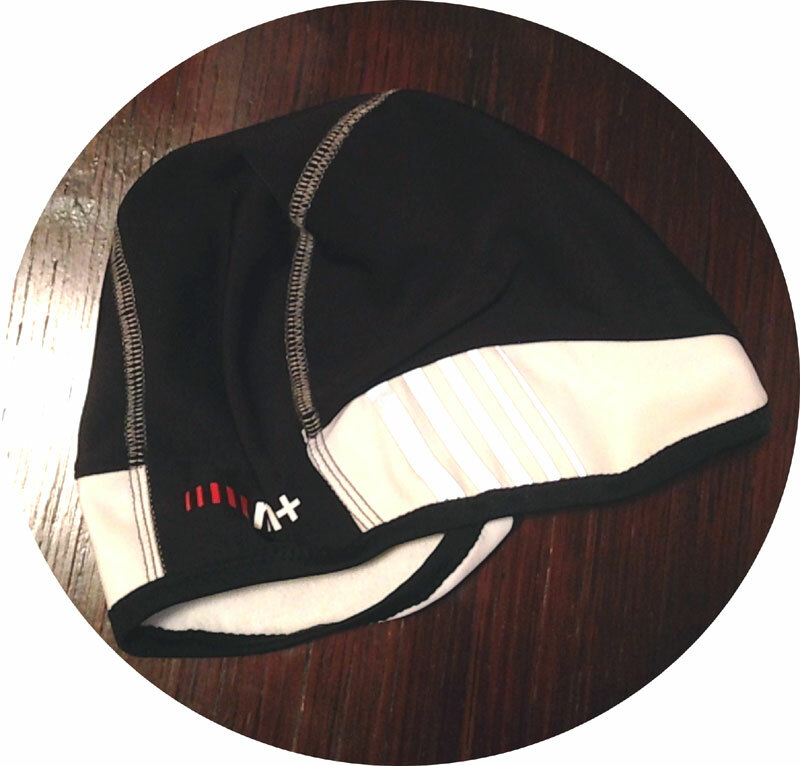 One thing that bothers me when I cycle is the mosquitoes which land on my head through my helmet…. To avoid this, and to keep my head warm, in autumn I usually wear a skull cap. I bought this Zero RH and I find it very comfortable, keeping me warm and dry . Personally, I have some neck problems and when I cycle in autumn I want to keep it warm and I always wear a neck warmer. I am sure I forgot something. If so, please feel free to add a comment. It could be helpful for me too! 😉 Thank-you! Categories Select Category A.O.B. Cycling equipment Italian cycling itineraries – mountain bike Brescia – Ponte San Marco – Botticino Italian cycling itineraries – road bike memorabilia my cycling rides My husband Photo filters and apps Senza categoria Try it again, Monica! In London with toddlers. A survival guide for parents. How can you love mountain biking ? My first 2000 kms and why I love cyling.